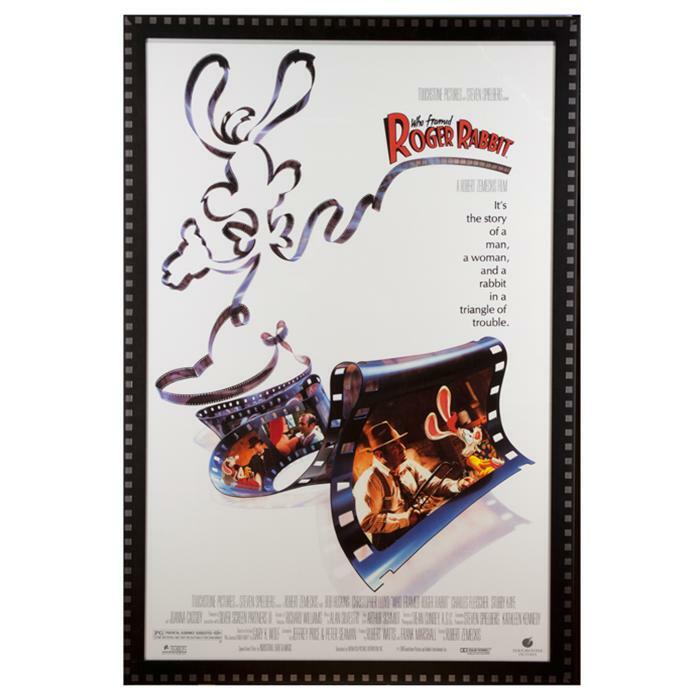 framed movie poster of Who Framed Roger Rabbit? Framed Size: 29 1/2" x 43 3/4"
Description: Giclee print framed in a 1 1/2" wide black and silver wood frame that looks like edges of film. Print is also framed with U.V. filtering glass.